Since its invention Jaxx Lotto website (Jaxx.com) has tried creating some personal games for its site. 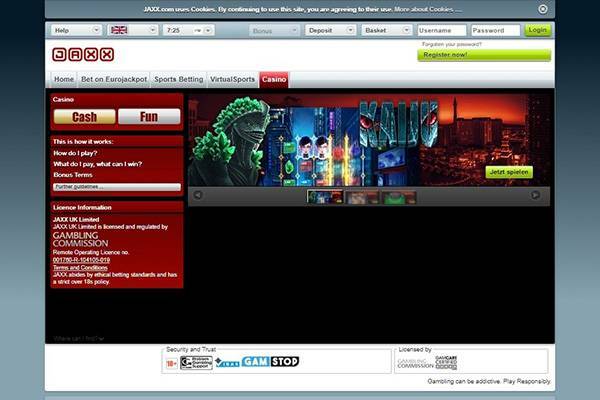 There are no much third party games that can be played on this website as they offer only one lottery game called Eurojackpot. The website is designed in such a way as to make room for easy navigation and the offer various games such as: sports betting, horse racing and casino. 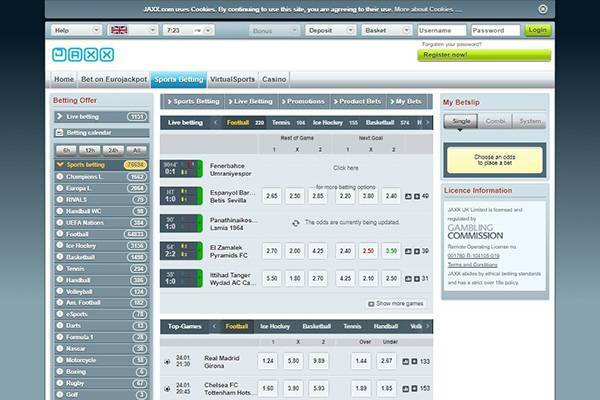 These games are mostly bet games where a winner is selected by winning the odds of a bet. It is saddening that after being in existence for 24 years they can only make account of a total of 30,600 visitors which is a poor rating considering the amount of years they have been in existence online. There is an age limit to playing lotteries and this also applies to jaxx.com and in this case the limit is 18 years and above this is mostly to give room for safe gambling. The website can either be viewed in English language or in Deutsch and the only recognized currency is in pounds sterling. The major glitch of the website is that its terms and conditions can only be viewed in German. Jaxx.com is restricted to certain countries; Switzerland, Netherlands, United states, Canada, South Africa, Poland, Cuba and member states of the Caribbean community. 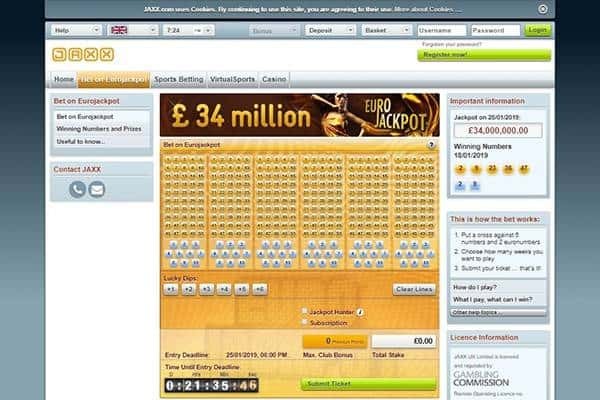 As mentioned earlier the only amount of lottery available on the website is just one, the Eurojackpot, perhaps this is the reason why it is recording very low amount of players. This website would be more worthy to be called a sports betting site and an online casino site as they offer more sports betting and casino options. 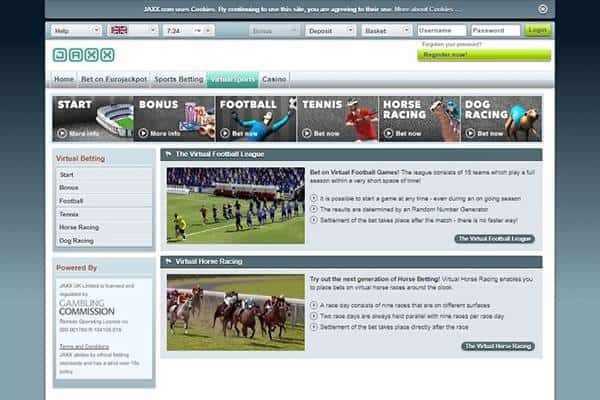 As mentioned earlier majority of the games available include; sports betting, horse race betting and casinos. This gives a player who is not interested in lotteries a chance to actually play some of the games available on the website. Eurojackpot which is the only lottery available on the website comes with its rules and I order to win in Eurojackpot you would have to match at least 2 major Eurojackpot numbers and 1 euro number. 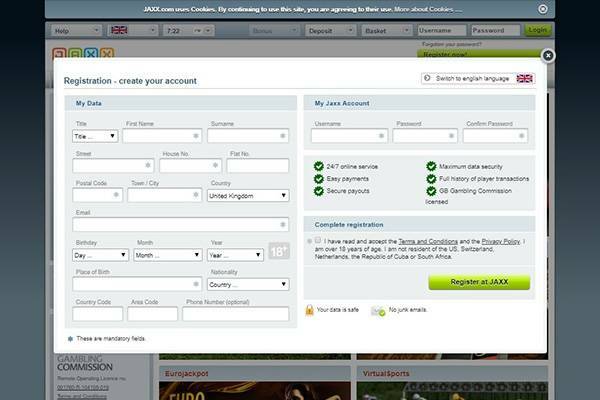 Eurojackpot can be played in some European countries and a comprehensive list can be found on their website. 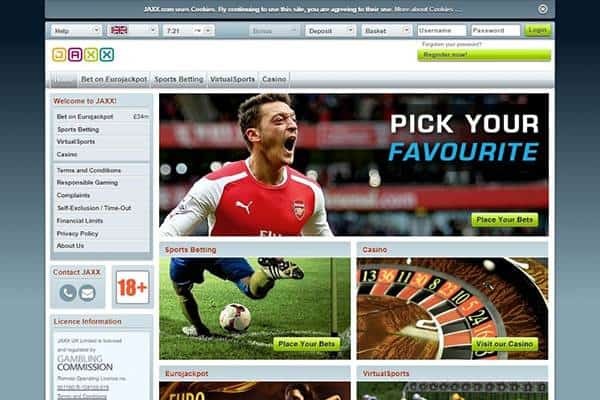 A betting system is used to ascertain winners mostly from their betting games as it is quite obvious that their interests lie more in trying to promote their personal game than a third party game on their website. Jaxx.com does not offer any form of mobile app for any platform. What they do have is a website that is mobile friendly. Games do not need to be downloaded to play, you can play any game using your mobile device and accessing it through your internet browser. There are no promotions available at Jaxx Lotto website. It offers no form of discounts; it gives no special offers and focuses on a standard game play. There is no information as to least amount of money that can be deposited into an account but in order to make a purchase for a ticket; the minimum amount is $2.65. Jaxx.com tries to update the list of winners on their website but they do not bother trying to send personal notifications to your inboxes hence you are left to find out your winnings yourself. A FAQ and help center page is provided to aid in any way possible to new players who are seeking for answers to help them make a head of things on the website. Their contact us page is well structured as it contains list of information needed to contact them just in case you might have a question to ask. Unfortunately, there’s no 24 hour support and no live chat option. Is JAXX Lotto legitimate or fraudulent? The site is legit as it is operated by Jaxx UK limited. The website is safe and is secured by Norton safe web and Google safe browsing. If you are ok with the lack of lottery games on the website and just love the betting games then Jaxx.com might just be that platform for you.